Several slides from a series explaining a pharmaceutical company’s research and development are shown here. 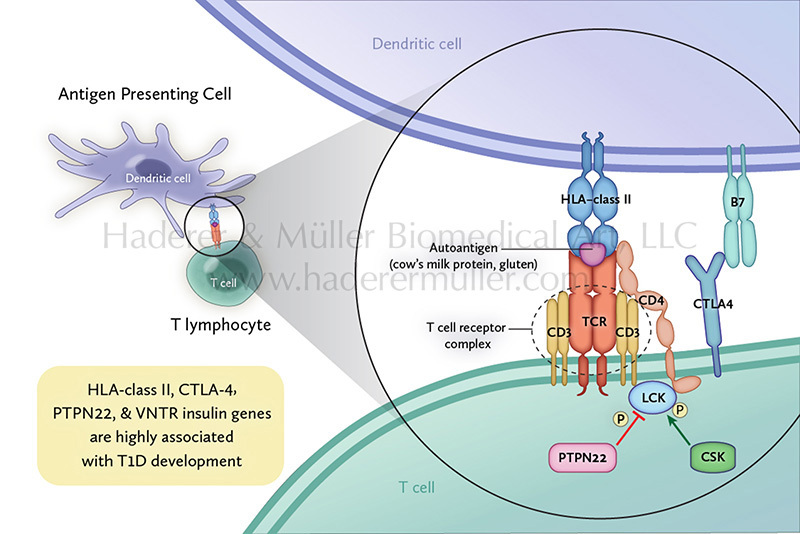 The development of type 1 diabetes is multifactorial: In a person already genetically at risk, specific genes (HLA DRB1, HLA DQA, HLA DQB) and single nucleotides polymorphisms are associated with increased risk of developing the disease. In addition, changes in the microbiota composition in the gut may affect the integrity of the intestinal lining barrier and the function of the immune system as T cells become activated. This intestinal barrier breakdown may be due to early exposure to complex dietary proteins. 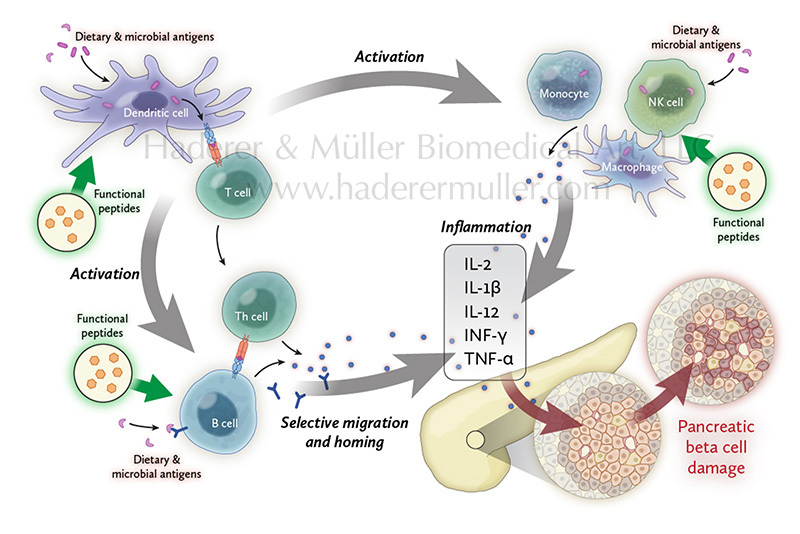 As the barrier is disrupted leading to dietary and microbial antigen exposure increases over time, a vicious cycle results in a loss of tolerance, autoreactive T and B cells, autoantibodies, and insulitis (a first step toward the development of diabetes). Dietary intervention via extensively hydrolyzed proteins in infant formula may be one line of attack in the battle against the rise of this disease.